When you choose Coastal Modular Group, you receive the expertise of a team of New Jersey modular home builders, custom site builders, designers, engineers, architects and trade professionals. You benefit from our home pride as Coastal is comprised by Jersey residents who know state rules and regulations. Additionally, for those impacted by Hurricane Sandy, we are a Reconstruction, Rehabilitation, Elevation and Mitigation (RREM) Pathway B builder. Collectively, our team has built hundreds of prefab or custom modular homes in NJ and custom site built homes all along the Shoreline. Click here to learn more about our company or learn more about the modular process here. When you choose Coastal Modular Group you get a true design and build firm comprised of expert custom home designers and builders committed to producing beautiful and functional designs for your modular home in New Jersey. You will be informed throughout the entire process thanks to our streamlined Project Tracker System. Our team will guide you every step of the way and our process allows you to be as involved as you would like to be. Coastal Modular Group specializes in luxury modular home design concepts and our in-house design team will work closely with you to create unique floor plans that suit your lifestyle needs. Additionally, we are able to modularize complex "stick" architecture plans. 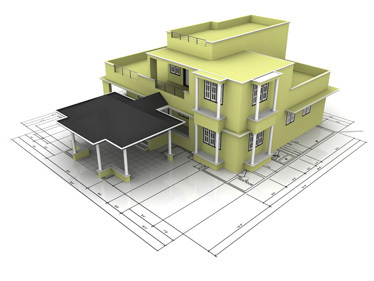 In addition to custom home design, Coastal Modular also has semi-custom plans. We have a variety of floor plans that have been created over the years, and we invite you to integrate your ideas into any of these plans to create the home of your dreams. You can also see our current modular floor plans at: https://www.coastalmodulargroup.com/floor-plans/. Working with Coastal Modular Group to build your modular home in New Jersey has significant advantages. With a more developed builder network and corporate infrastructure Coastal is able to manage any size project and deliver on-time and within budget. We are extremely clear with our customers regarding timeline and pricing. Our team works closely with our customers to price every single item so that there are no surprises at any step of the home building process. 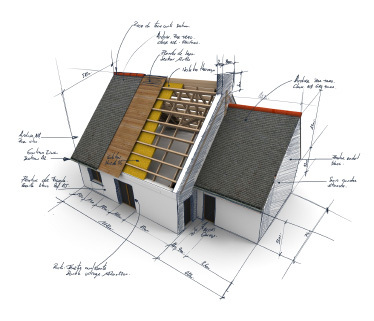 While the home designs we create for our customers are anything but predictable, we feel that it is incredibly important that our pricing model be accurate. Building in factory-controlled settings with cutting edge computer generated precision allows for easier identification and filling of gaps around pipes, outlets, doors, windows, and exterior sheathing. Not only does our process ensure a tighter home, but it also allows for less air infiltration and advanced energy efficiency, resulting in lower heating and cooling costs for our customers. Learn more about the efficiency of our green NJ modular homes. Thank you Coastal Modular Group. 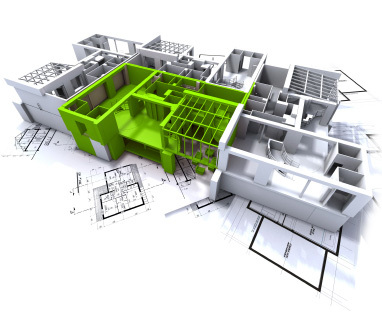 Your ability to navigate the complicated building code changes and engineering issues was a huge help. I have been working with Coastal Modular Group for the last few months to plan and build our dream home on the open water in Brick, NJ. We have been dealing with a very complicated purchase of an empty lot to build on. They have gone out of their way to be of assistance at every turn. Whether it was researching permit information for me at the state or city level, or manipulating the plans to meet my financial needs, they have been great. I have been in homes that they have built that are gorgeous. I hope to have our home done in the next 9-12 months and I wouldn't even consider another builder at this point. Professional, experienced and most importantly they care about about the customer. That is all you can ask for.